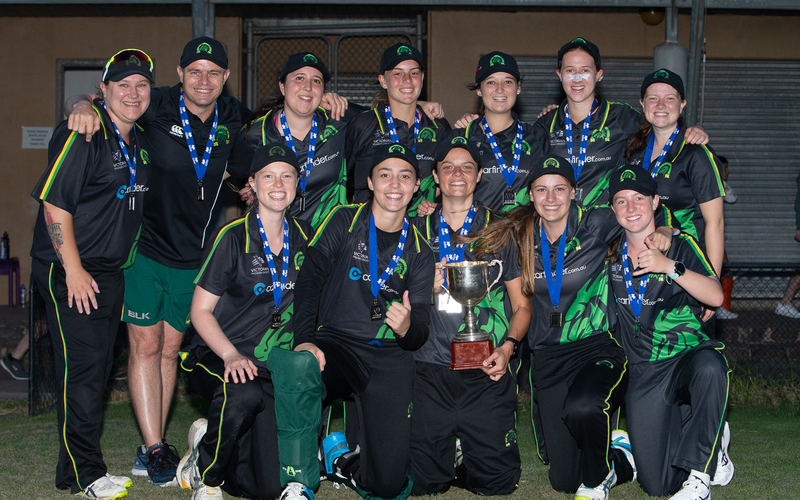 Box Hill has grabbed the Women's Seconds T20 title, defeating Melbourne in an exciting Final at the Harry Trott Oval this evening by just 7 runs. 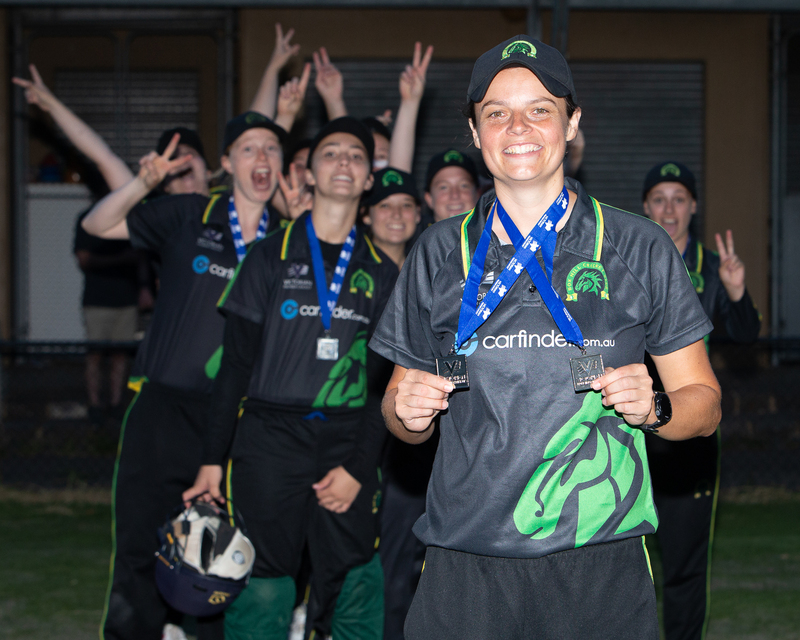 Batting first the Mustangs' innings was held together by skipper Penelope Cleghorn (65* off 54 balls, 8 fours). Fellow opener Pennie Harrison (18) also batted well as Box Hill finished at 7/116. In reply the Demons were in trouble at 3/20 and 5/48 before Olivia Downes (18), Clem Ryan-Fuller (19) and Annecy Homberg (37*) led a fight-back as Melbourne were back in it, but ultimately fell just short.